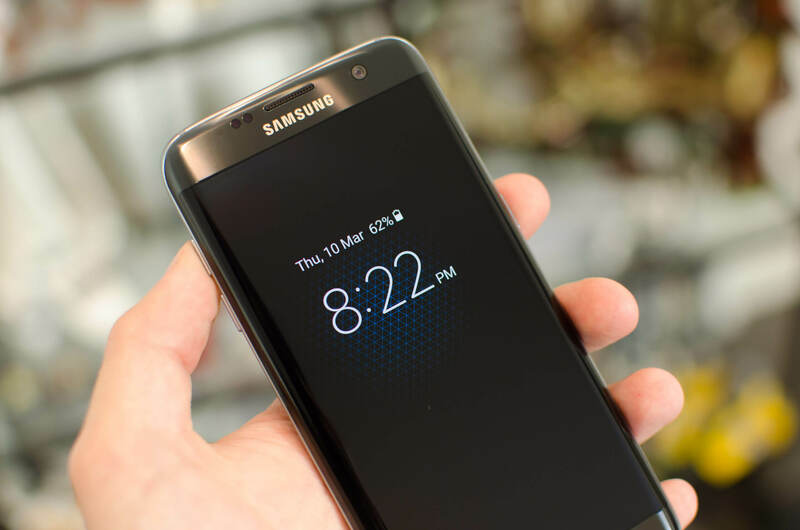 One of the Samsung Galaxy S7 Edge's great new features is the always-on display, which shows you the time, date, and select notifications even when the screen is 'off'. Being able to see the time at a glance is very handy, but many people have a misconception that enabling this feature consumes a lot of precious battery. Over the past few days I've been testing exactly how much battery the always-on display consumes, and the results aren't surprising: battery consumption is very low. This is due to the Galaxy S7 Edge's AMOLED display, which only needs to illuminate a handful of pixels to show the time and notifications. As the phone doesn't need to power a backlight to display this information, energy is conserved by keeping the vast majority of the display black (or off in this case). To test the always-on display, I left the Galaxy S7 Edge in airplane mode over the course of 18 hours in a variety of conditions. I tested the phone without the feature enabled, and three times with the feature enabled: one for when the display was at a high brightness due to indoor lighting, one where the display was dim due to no lighting, and one where the display was off. Why would the display be off when the always-on feature is enabled? Well, Samsung's software engineers are clever, and turn off the display whenever the proximity sensor detects the phone is in your pocket or bag. In my tests I found that the always-on display consumed around 11 percent of the phone's battery over the course of 18 hours, relative to when the feature is disabled. If the phone was left to die, it would have taken a whopping 130 hours to deplete with the always-on display enabled, or five and a half days. When looking at how much battery is consumed per hour, the always-on display sucked between 0.59 and 0.65 percent of the battery per hour. If the phone is in your pocket and the always-on display is enabled, expect to lose 0.008 percent more per hour due to the power consumption of the proximity sensor. Compared to general usage, the impact from the always-on display is low. Running PCMark, for example, consumes 20 times more energy. To put a real world example to these figures, let's say you take the Galaxy S7 Edge off the charger at 6am, and return it to charge at 10pm. If you left the phone untouched with the always-on display enabled, you'd expect to lose an extra nine percent of battery over the course of the day. However that's a pretty unrealistic scenario, as most people actually use their phones throughout the day, and often keep them in a bag or pocket. Let's say that you use your phone for 40% of the day (5.6 hours of screen-on time) and for 30% the phone is in your pocket or bag. For another 30% of the day, the phone is on your desk displaying the time via the always-on display. In this scenario you can expect to consume an extra 2.75 percentage points of battery compared to if the always-on display is disabled. This is the difference between finishing the day with 30 percent battery remaining, and 27 percent battery remaining. In my eyes this is a very small amount, and perfectly justifies keeping the always-on display enabled.